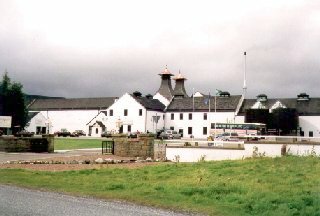 A Highland Malt, although it could qualify as a Speyside Malt, whisky is produced in the Dalwhinnie Distillery which is located close to Drumochter Pass at the head of the Strathspey in Highland. Established in 1898 it was originally called Strathspey and was available only locally. It is now more widely available and it is regarded as one of the Classic Malts. The distillery has a shop, offers tours and an exhibition.